In the early days of hair transplantation, a 3-4mm punch was used for harvesting hairs from the donor site, however, minigraft, where 4-6 follicles were harvested using a 1.5-2mm punch, was later developed and used until the 1990s. In 1988, Dr. Limmer of the United States proposed follicle unit transplantation (FUT) where follicles are transplanted in units of single hair, two-hairs, or three-hairs. FUT has been established as a standard technique and is used around the world today. 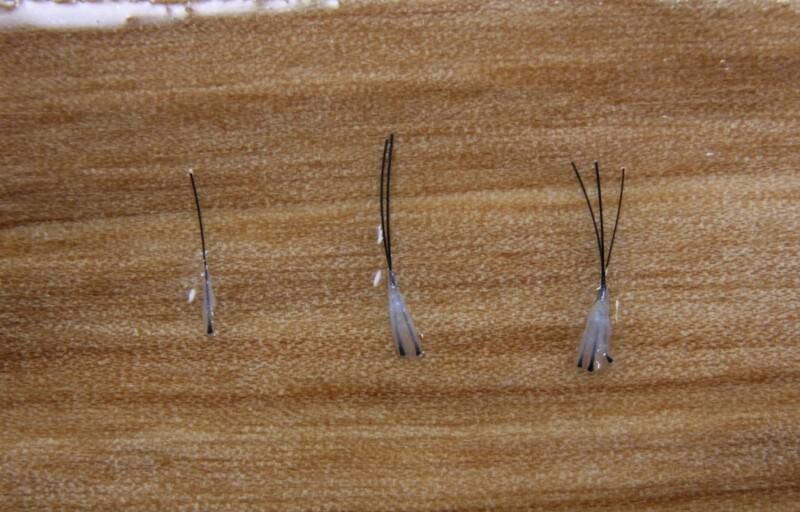 One to three hairs can naturally grow from a single follicle. The principle of FUT, as the name suggests, is to treat follicles as a unit for harvesting and transplantation (Images 6, 7). In 2002, Dr. Rassman of the United States proposed follicular unit extraction (FUE) where a 0.8-1.2mm punch is used to harvest donor site follicle. FUE along with the strip method are used as a standard today (Image 8). FUE can be advantageous in Caucasians as they have short and thin follicles. On the other hand, Koreans have thick and deep follicles. This raises the risk of transection as well as unsuccessful engraftment. 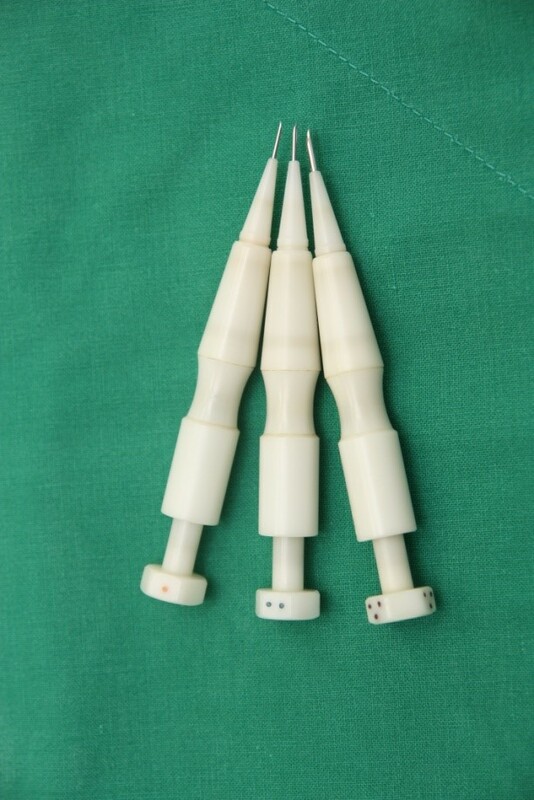 FUE was known to be somewhat inappropriate in Asians, however, thanks to development of the punch device, FUE can be used in Asians with a drastically reduced transection rate. 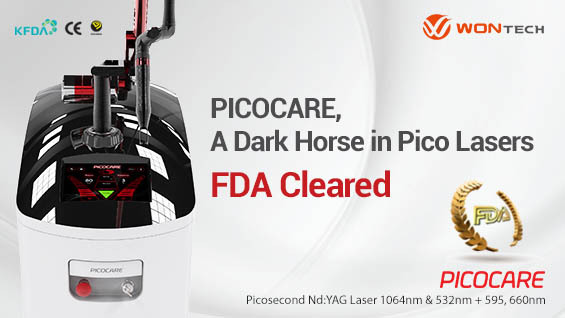 In the Western countries, on the other hand, recent trends favor the implanter to forceps or slit method for maximal preservation of follicles, as follicles harvested through FUE can be easily damaged. International Society of Hair Restoration Surgery (ISHRS) is an international authority on hair loss and replacement. ISHRS was established in 1993 and currently has around 1,200 members from 63 countries. Global Council includes regional chapters in 21 countries. It is a leading academic society on hair transplantation. ​I was the first Korean doctor to be appointed Chairman of ISHRS at the 25th annual conference held last October. I will be serving as the 26th Chairman. ISHRS is known as a leading global authority on hair loss and treatments, however, many of the publications focus on Caucasians and are not applicable to Asians who have different dermatologic characteristics. To satisfy this unmet need, The Asian Association of Hair Restoration Surgeons was established in 2010 and is producing a lot of helpful academic work. In addition, Korean Society of Hair Restoration Surgery was established in October, 2011, to promote academic exchanges on various techniques specialized for Korean patients. Image 6. Single hair FU, 2-hair FU, 3-hair FU after harvestation. Image 7. 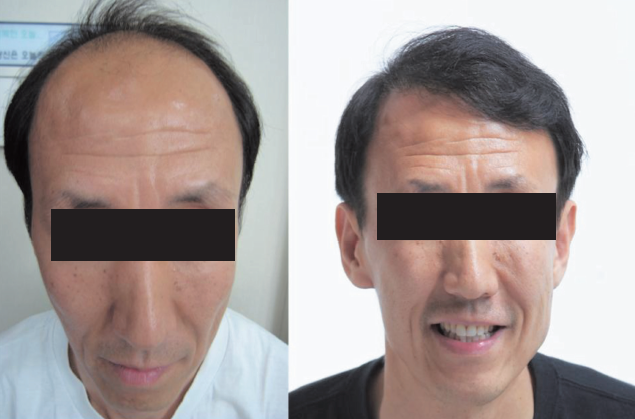 Before and one year after FUT hair transplantation. Image 8. 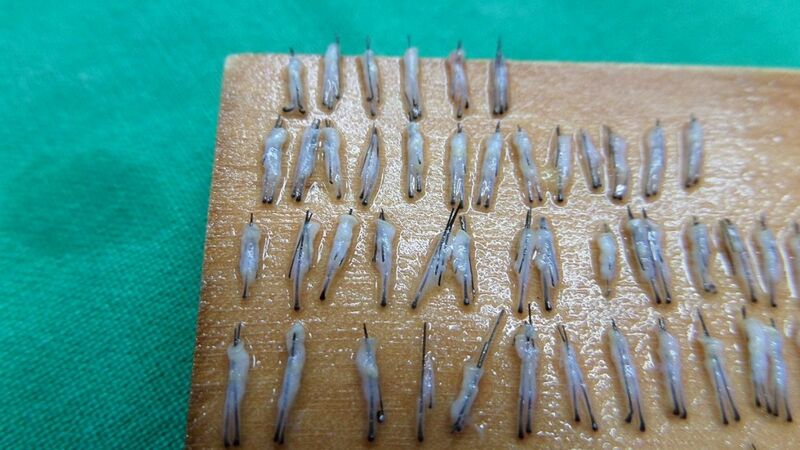 Follicles harvested using FUE.